Whatever the architectural style, the Bahama Shutter is sure to compliment it… home, mobile home, office, condominium or storefront. The Bahama Shutter not only adds tropical beauty to your home, but is functionally practical. 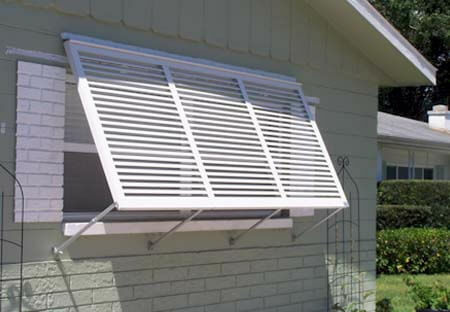 By allowing glare free light into your home the shutters eliminate fading of your carpeting and drapes. 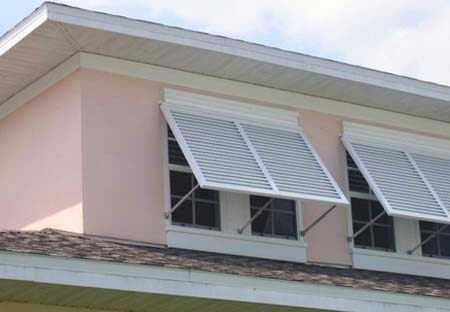 The Bahama Shutter can be easily lowered to provide complete weather protection. Home Safety Solutions offers professional bahama shutter installation services. Serving Pinellas, Hillsborough, Pasco and Hernando areas. Protecting homes, possessions and families from violent weather and hurricanes over 3 decades. Click here to request quote.